Govt. of India on Friday launched BHIM (Bharat Interface for Money) mobile application to promote and make online transactions easier. 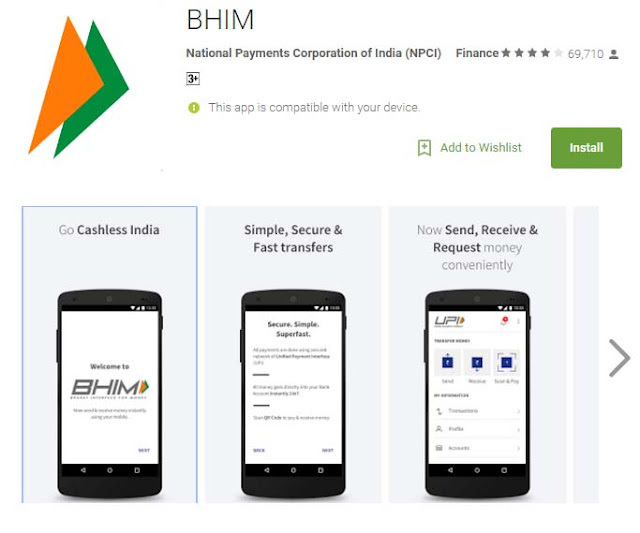 BHIM app developed by National Payments Corporation of India (NPCI). BHIM is interoperable with other Unified Payment Interface (UPI) applications, and bank accounts. Note: IOS app will be coming soon.